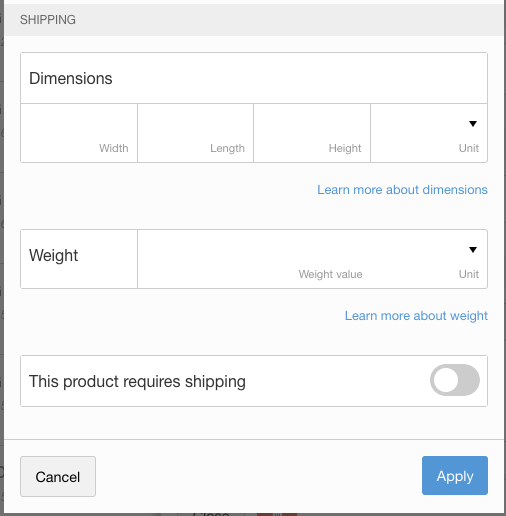 Shopventory Advanced Properties let you set up shipping info for your products, with additional properties coming soon! Advanced Properties apply at the Product level. This means all Variants of a product will share the same Advanced Properties. Width x Length x Height — There is no particular order required since all three come up to the same total volume no matter the order. 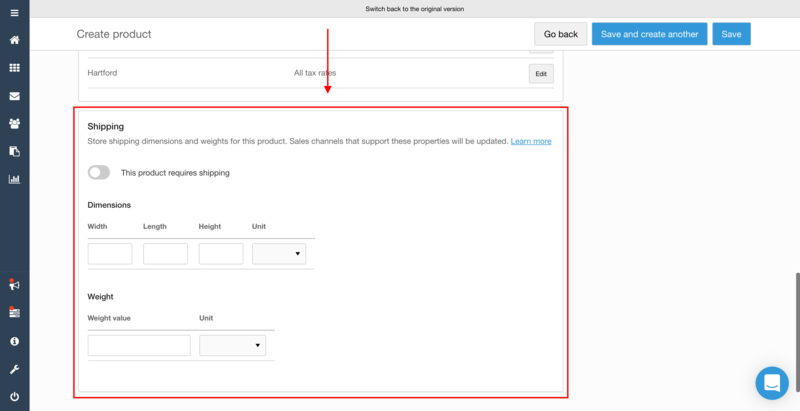 Choose from inches or centimeters in the Unit dropdown. Shopify, Square, Clover, and PayPal Here do NOT support this field. You can still fill it in, but just be aware that only Shopventory will have the data. Enter the total weight and choose your Unit. Square, Clover, and PayPal Here do NOT support this field. You can still fill it in, but just be aware that only Shopventory will have the data. 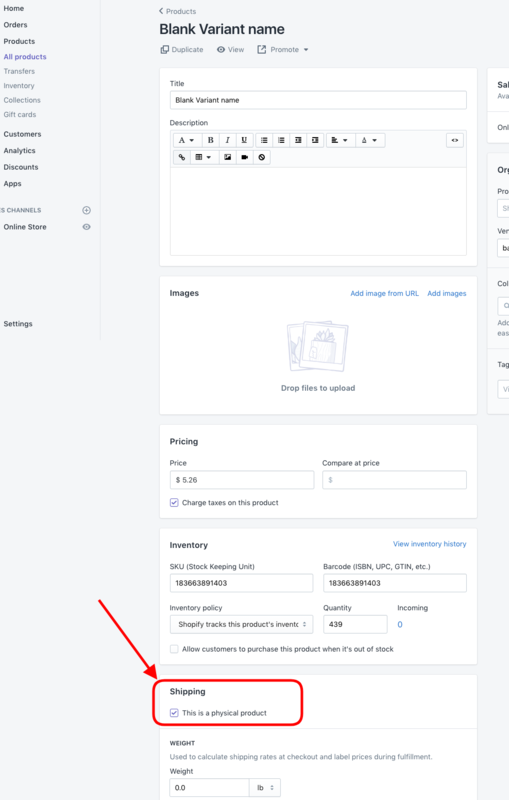 WooCommerce, Square, Clover, and PayPal Here do NOT support this toggle. You can still activate it, but just be aware that only Shopventory will display the option.